@bcjayhawk It was fun to write as well. Took me a few days actually, unlike anything else I ever post. I’d write a little, come back to it later, do some more, etc. Kansas City - Can KU beat Tech and K State in KC? In case the suspense was killing anyone, the TV made it thru today but there’s next week so stay tuned! @Crimsonorblue22 That’s one thing I already love about Long. He seems to be way more involved with day to day activities and the student athletes in general. Nice for KJ to get some love. Yep… that is how I understand it, too. Doesn’t sound cozy. A tour of the White House is a great experience. It’s something that you should do if you get the chance. I have been in DC a couple of different times, but both times no tours were available the days I was free to go. Maybe next time. There is a lot of history around DC. Not just the White House, but all along the Mall. The White House is tough to get into now (for good reason), but the Smithsonian and all of the memorials and other museums make a DC trip worthwhile if you are into the history at all. Is it snowing in Kansas? @Woodrow Is one of them named Lebron? Could the New NCAA rules hurt Kansas HS basketball? Besides playing in high school games boys and girls can play in over a hundred games a year with different organizations such as AAU and other travel ball programs. Most weekends there are tournaments where you can find desired competition. My experience it’s these programs where kids develop the most rather than in school programs. Not always the case but a majority of the time. If a kid has potential long before high school his/her name is in the conversation. A Texas-Kansas oligarchy applied its wealth to the politics of Wisconsin, Michigan, and Ohio. Now an older, larger oligarchy is applying its wealth to Kansas. All politics in an oligarchy is application of wealth for increased spatial influence over infrastructure—existing, or planned. I like the 4 guard lineup and dedric. kJ at 4, Vick, grimes, Dotson or Moore. I’ve fallen in love w/the 4 guard. Nice to have options. I know Scott from when he was at the UDK and I was at Through the Phog. He’ll be good at providing stuff for folks to read. Liberace and zippers…look, I think there has to be a decency law established where I never see that photo again. 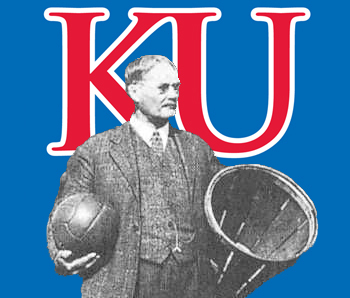 NCAA Corruption Investigation - Kansas Identified? @BeddieKU23 No one bets on music or art. That’s why no one cares if they get paid. It’s all about betting. Same as the injury report, it has nothing to do with fairness of play, it’s all about betting. Lots of walk on players. I believe the roster at the KU website lists 105 players. My point was that if there are scholarships available, graduate transfers from major programs is a good option since they are immediately eligible and hopefully ready to contribute and lock the scholarship for only one year…better than picking up JuCo players. Others obviously disagree. It would be silly of them to try to use the loss at AFH considering KU also beat them at Bramlage one month later. Hang onto yer shirts, Jayhawk Fans. Shaka plans to make a mighty late run at our weary Jayhawks. I look to see Self try to take out the Longhorn center before that freshman can exert any control in the final minutes. Annual rant that my KU friends can't watch KU games in the state of Kansas. I never understood why the entire state and KC Metro area was blacked out. Most smaller towns do not have a choice of cable providers and in the KC Metro area only TW and Comcast carry Metro Sports and the three other carriers, AT&T, Consolidated and Google, are left out; realistically, most people, even those not stuck in a contract, will not change providers for 6 games. Maybe they think AFH will not sell out which is utterly laughable. Whoever reviewed the contract probably never heard of the law of unintended consequences and in my opinion, the rules were just changed now that Zenger’s job is in jeopardy. This utter disregard for Kansans alone justifies firing Zenger.